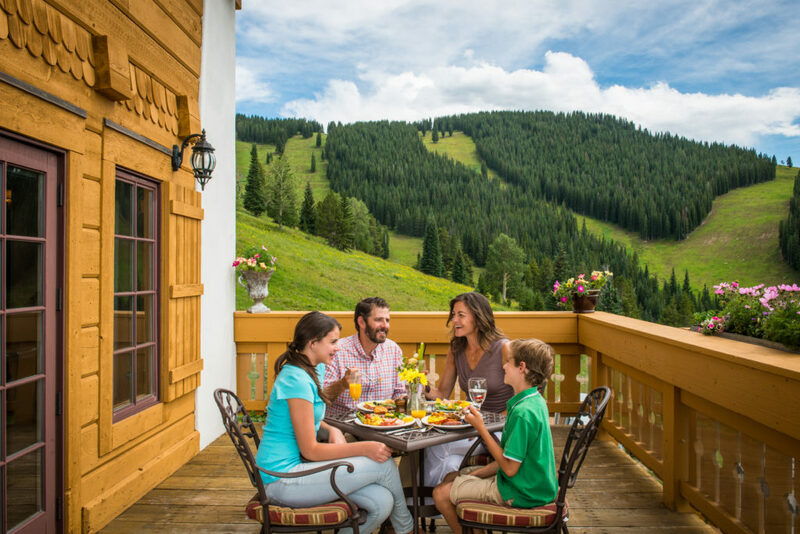 Celebrate the most important man in your life with Father’s Day Brunch at Game Creek Restaurant atop Vail Mountain via Eagle Bahn Gondola and brief shuttle to spectacular views and incredible culinary fare. Game Creek Restaurant, perched on the side of Game Creek Bowl (for those familiar with Vail’s winter mountain, this is one of seven bowl skiing areas) is truly a breathtaking feat of architecture and modern gourmet dining. Nestled among the trees, it is a three tiered rustic American design with an ode to European architecture that lends perfectly to its alpine environment. Game Creek Restaurant’s beautiful interior. If available, opt to sit outside, as the true gem of Game Creek Restaurant is its expansive deck. It offers views into Game Creek Bowl, as well as views further West down the valley to Beaver Creek, Vail’s neighboring resort, and beyond. It’s truly an amazing place to tone out all of daily life’s distractions, and enjoy the company, view, and amazing food and beverages. The drink menu at Game Creek is equally as impressive as the views. On the cocktail menu you will find Signature Cocktails like the Cappuccino Martini, Venice Spritz, Blueberry Mint Cooler, and more. Restaurant staff eagerly endorse the Sazerac, a simple variation on a plain whiskey cocktail that contains Beam Rye, Peychaud’s Bitters, and a hint of Absinthe. Mimosas, quite possibly the most appropriate brunch beverage, are available in four different styles: Traditional, Pineapple Strawberry, Pomegranate Lime, and Orange Cranberry. For our wine aficionados, Game Creek also has a wide selection of your favorite wines from France, California, and Italy. Draft and bottled beers are also available in both domestic and imported options. Take brunch to the next level with the all you can eat gourmet buffet style that provides traditional American breakfast foods along with an endless selection of charcuterie, salads, fruit, seafood, meats, deserts, and pastries. A particular favorite is the Sriracha Chicken Salad, which is wonderfully fresh, with the perfect amount of spice, and all around a very nicely composed dish that you will not soon forget. In true Colorado fashion, the meats are sourced as locally as possible. The prime rib is tender, perfectly seasoned, and sliced fresh. Try a little bit of everything as there is truly something for everyone available at this buffet. Whether you are the most seasoned “foodie”, a picky child, a carnivorous mountain goer, or a vegetarian looking for the freshest of greens, your hunger will be fulfilled at Game Creek. Executive Chef Dan Maguire’s approach to cuisine is to use locally sourced ingredients in their purest form, highlighting their natural flavors. Chef Dan is refining his signature to dishes at Game Creek, though long-standing favorite ingredients have been Colorado Lamb, Elk, and Palisade Peaches. The wine list is another amazing complement to the culinary program. Having earned the Wine Spectator Best of Award of Excellence since 2015, Sommelier Josh Maclean has developed a list with many different unique regions as well as classic wine terroirs, offering a myriad of selections for guests wanting a glass to a full bottle of wine. The entire staff is incredibly knowledgeable about the food they are serving and you can tell they feel a strong sense of pride in offering guests the most memorable dining experience possible. Game Creek Restaurant can be enjoyed by couples, families, friends, colleagues, and anyone looking to have a unique dining experience in the mountains. 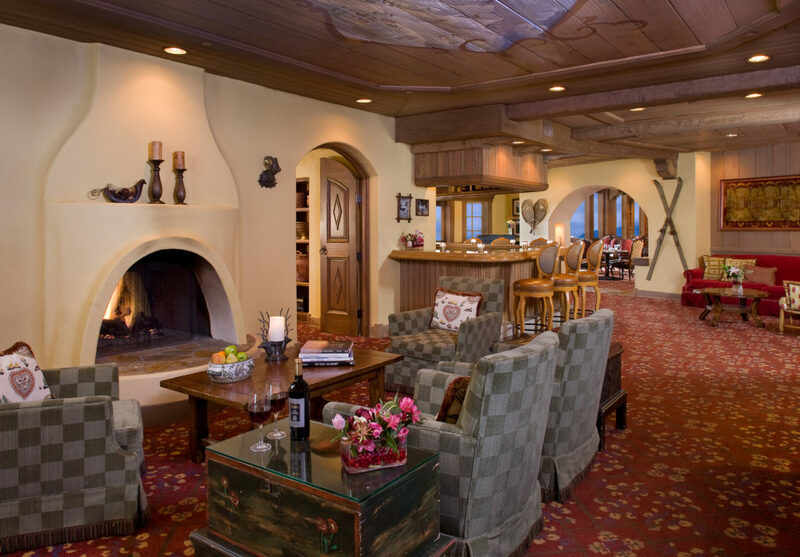 Reservations are required and can be made by calling (970) 754 – 4275 or by clicking here.